Xherdan Shaqiri might just be Bayern Munich’s next big star, but he’s still scoring big goals for FC Basel en route to another league title in Switzerland. Stefano Mauri won’t be winning any league titles this season, but his goal for Lazio in their 3-1 win over Napoli was equally impressive. 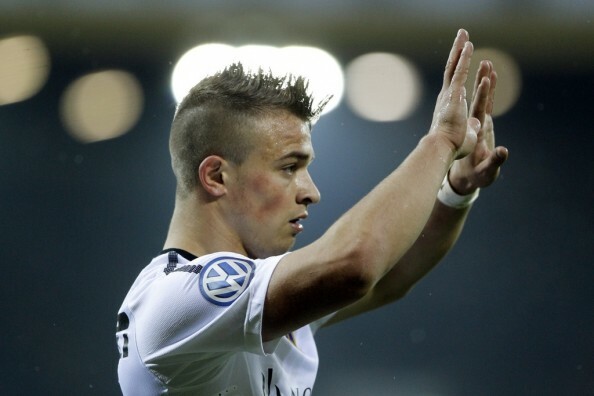 But we’ll begin with the young stuff, the 20 year old Shaqiri, who was actually born in the former republic of Yugoslavia, moving to Switzerland as a child. In terms of size, he never really grew much, standing only 1.69 meters above the ground. He’s been with Basel since the age of 10, and since 2010 has won 17 caps for the national side. He doesn’t score often, with a total of 14 league goals in 80 matches for the club who impressed many this season in the Champions League, but he always leaves you with one jaw dropping move or assist during the match. Just like his incredible finish against Luzern, only good enough for a 1-1 draw. Unlike Shaqiri, Stefano Mauri has been with us for a long time. The 32 year old Italian is having a sort of resurgence these past few seasons under Edoardo Reja, making a couple of appearances for the Italian national team in the Euro 2012 qualifiers, although history teaches us that Mauri, with 11 caps for Italy, never gets the call to the major tournaments. He’s a huge piece in Lazio’s recent push towards a Champions League spot, including a goal in the derby against Roma and his latest headliner, a brilliant overhead kick in the equally impressive 3-1 win over Napoli.